"It's fun...just plain fun to go boating." Jim's parents put him in their 14' Mahone Bay Plycraft speedboat at the age of three months; he's been boating since the early 1960's. He was a junior sailor at Lunenburg YC and spent a summer working as a deckhand on Bluenose II. 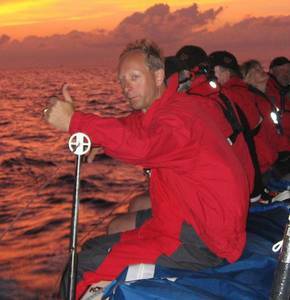 Jim has raced offshore including ten Marblehead-Halifax and four Newport-Bermuda Races. In January 2009 & 2012 he did Key West Race Week. Throughout the boating season, Jim can be found sailing with clients throughout Atlantic Canada. In 1990 Jim founded Sunnybrook Yachts and in 1991 he purchased MacPhee Yachts. By 1995 Sunnybrook Yachts began assembling the new boat division; Sunnybrook now represents several new boat builders. Jim is also a past President of Atlantic Marine Trades Association. His style of combining asset management and project management for clients generates considerable repeat and referral clientele who appreciate high level service. Focused on finding the right boat and protecting the long term capital investment has been an integral part of Jim's path to success in the yacht brokerage business. Marcie Young is not a life-long sailor, however she a lifelong Chester resident. Marcie joined Sunnybrook Yachts in June 1998 after finishing her BBA at Mount Saint Vincent University. Since 1998, Marcie has established herself in the brokerage business dealing with import and export brokers, government documentation and running a tight ship here in our main office. Marcie manages several million dollars of yacht transactions annually. She provides a high level of service and integrity to our clients. For imports and exports, Marcie's expertise is known across the continent. Marcie and her husband Terry live near Chester with their twin daughters. John Suederick, our Senior Yacht Broker for Sunnybrook Yachts, has been a full time yacht broker since 2002. Dealing in new and used yacht sales and service both in Canada and United States. 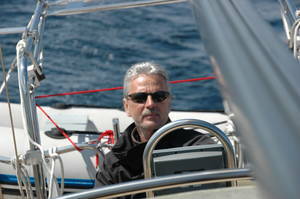 Experienced in boating since his teen years and having sailed on both the west coast and east coasts of North America. He has lived in Australia and South Africa as well. 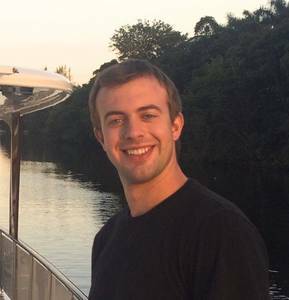 John is educated in engineering and business along with yacht marine surveying certification. John previously worked with Sunnybrook Yachts and had his own brokerage, Scotia Coast Yachts, for 5 years. John has now rejoined Sunnybrook Yachts in our revamped Chester office. Chris was born and raised in Chester, NS where he learned to sail on his fathers J/24. Chris got his first job at 16 where he operated the tender service at South Shore Marine and he’s been hooked on boating ever since. Chris graduated from Dalhousie University in 2013 with a Bachelor of Commerce Co-op degree. Looking back on his previous employment and he can say that he has gained extensive knowledge and skills in the automotive industry, the financial services industry, as well as the radio broadcasting industry. Chris has been brokering boats since 2014. Not a stranger to giving back to the community, he regularly helps out with the Walk for MS, and he has chaired a major fundraiser for a non-profit organization. Chris brokers new and preowned, power and sail. Jean Guy was born and raised near the water in Northern NB where in is early teen enjoyed canoeing and kayaking. Jean Guy graduated from University de Moncton in 1979 with a Bachelor in Business Administration. 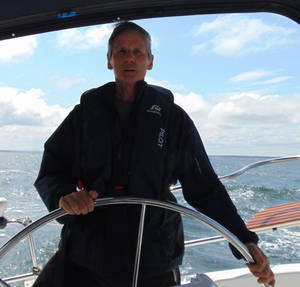 He has raced in the Northumberland Strait from mid 1980 to late 1990 when he moved on to cruising the Strait Northern New Brunswick and Gaspe Coast with some Atlantic and Pacific ocean passages. Jean Guy offers bilingual service in French & English and has been brokering boats since 2009 in New Brunswick and Gaspe Coast. On his free time you can see find in Shediac Bay on his Hunter 430. Jean Guy is fully bilingual and is familiar bringing boat from the US. He is dedicated to find the best boat for your budget. Feel free to give him a call at 506-866-7892. Contact Doug for your new & preowned sail & power requirements. 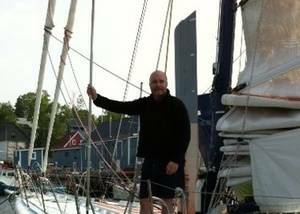 Originally hailing from Ontario, when Brad moved to Nova Scotia in his early teens, he immediately took to the water and started sailing at the LaHave River Yacht Club. Brad has owned many power and sailing vessels over the last 25 years, participated in several offshore yacht races, and has vast experience operating and performing boat deliveries along the Eastern US/Canada seaboard, to and from Bermuda and the Caribbean waters. With a background of 17 years in the marine insurance industry, serving as Past President of the Atlantic Marine Trades Association and Boat Chairman of the Halifax International Boat Show, Brad has an intimate knowledge of yachting from various aspects. The love of the water has been an important part of his life. Brad looks forward to sharing and helping others experience what boating has to offer. New build designs in Fiberglass or Aluminum are available for Pleasure (Cruisers/Sportfisher) and Commercial (Workboats/Tugs) from 14 ft. to 65 ft. With this experience, he brings a caring, considerate approach to helping our customers purchase the right boat for their needs. Paul brokers sail, power, and commercial and can be reached directly at sunnybrookontario@eastlink.ca. 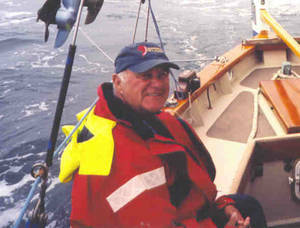 Bob was born in rural Newfoundland where he experienced boating at a very early age tending nets with his grandfather. He has been sailing coastal Newfoundland for 40 years with several years experience with power boats in the mix. Bob is an outdoor enthusiast enjoying boating, hiking, biking or skiing. He has over 4 decades of management experience in the utility industry and an extensive resume of volunteer activities. Bob brokers both power and sail and can be reached directly at sunnybrooknl@eastlink.ca. Bob is a life long sailor from Saint John; has been the marine business since the 1970's and has experience in all aspects of the business. Over the past 40 years he has helped many clients purchase and sell boats as their family requirements changed. Let his experience help find you your next boat. 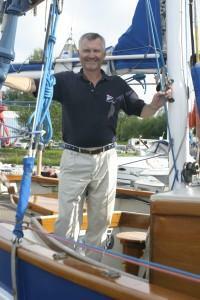 Bob has been a dealer for C&C, Hinterhoeller, Mirage, Catalina and Beneteau sailboats. He introduced Bayliner Powerboats to Atlantic Canada in 1986. He is a Yacht Broker and Delivery Skipper with a 60 ton ticket. He has delivered boats to the Caribbean and back and along the Atlantic Coast. 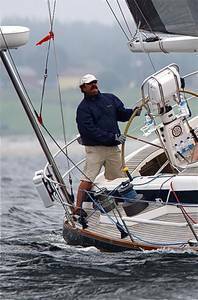 He has raced in numerous Regional, National and International events including 5 Marblehead-Halifax Races, 7 Yarmouth Cup Races, 2 J 35 North American Championships, Heinekin Regatta, Admirals Cup Qualifiers. Bob brokers both power and sail, new and preowned. Ernest Hamilton is a life-long sailor from Saint John, N.B. who has cruised extensively from Newfoundland to the Bahamas. Most of that cruising has been done in his 34' John Hannah, wooden ketch 'GLOOSCAP II'. In 1979 Ernest started the first yacht brokerage firm in Atlantic Canada, then called McMichael Maritime. When the McMichael franchise system closed in 1986 the name was changed to Maritime Ship & Yacht Brokers. Ernest was the first Canadian member of the Yacht Brokers Association of America. A professional association dedicated to providing a high level of service and integrity in dealings with clients. He brokers sail, power & commercial vessels.